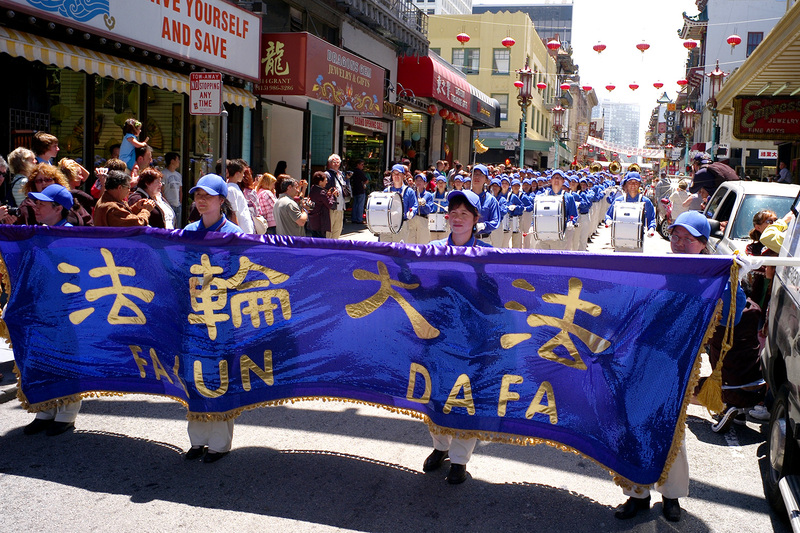 (Clearwisdom.net) On July 14, 2007, Falun Gong practitioners and many supporters in the San Francisco Bay Area held a rally in Chinatown to call on all circles to stop the eight-year-long persecution of Falun Gong. The rally also voiced support for twenty-three million Chinese people quitting the Chinese Communist Party (CCP). 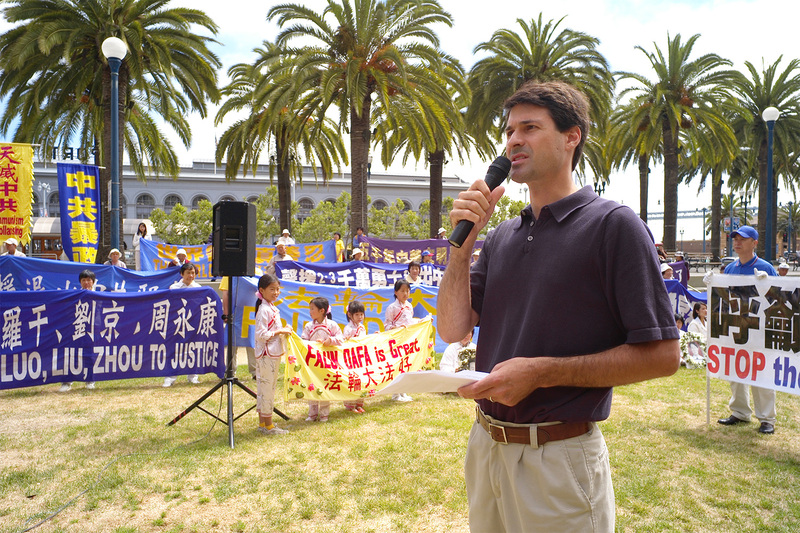 The Mayor of the city of Albany in the San Francisco area wrote to support the practitioners and condemn the CCP's persecution of Falun Gong. Many visitors signed the petition calling for an end to the persecution after learning that Falun Gong practitioners are brutally tortured in China for living by the principles of Truthfulness-Compassion-Forbearance. 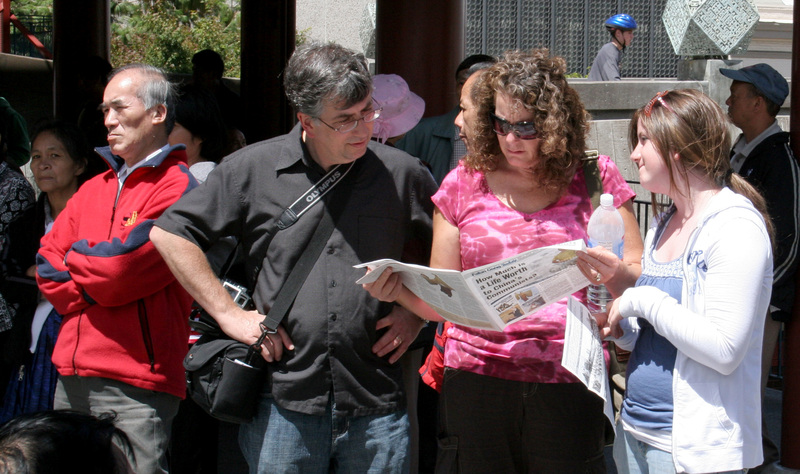 On the morning of the rally, several hundred practitioners gathered at Justin Herman Plaza and held a group practice, and then launched the rally and march with the theme, "Stop the persecution, Heaven destroys the CCP". 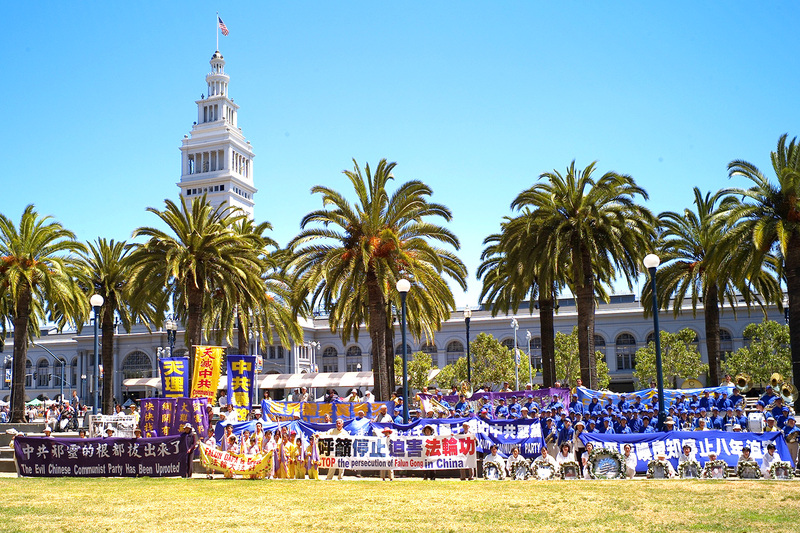 Practitioners held banners that read, "Peacefully calling for conscience, stop the eight-year-long persecution", "Falun Dafa is good", "Support twenty-three million Chinese people quitting the CCP" and others. The Divine Land Marching Band also performed on site. 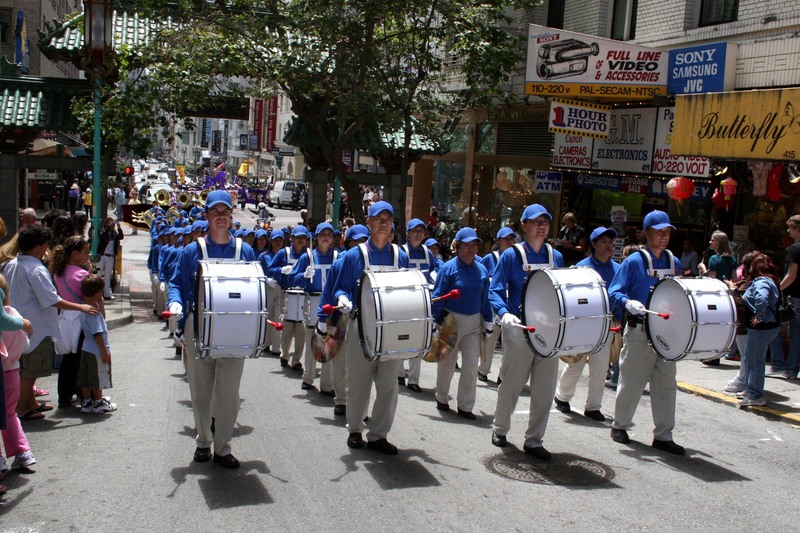 The procession started from Justin Herman Plaza, passed through the San Francisco financial area of Market Street and Chinatown, and arrived at Garden Corner. Practitioner representative Zhang Xuerong indicated that during the eight year persecution, the CCP used tortures that included the water dungeon, tiger bench, inserting sharp bamboo sticks under fingernails, beatings, electric shock, sexual abuse, and even organ removal from living Falun Gong practitioners to force practitioners renounce their belief. The cruelty of the persecution has been unprecedented. Ms. Zhang said, "During these years, everyone saw many Falun Gong practitioners distributing flyers, marching and holding rallies. They come from all walks of life, including medical doctors, PhDs, engineers, housewives, and students. If there were no persecution, they would be doing their own work in each walk of life. But because of the CCP's brutal persecution, in order to stop it, they spend their spare time, money and labor to clarify the truth. Their only purpose is to immediately stop the persecution." Ms. Zhang pointed out that in the fifty years since the CCP took power, it has damaged human morality and traditional culture, leading to hatred between people. During the past eight years, Falun Gong practitioners' peaceful protests have helped people understand the contrast between kindness and evil, between truth and lies. 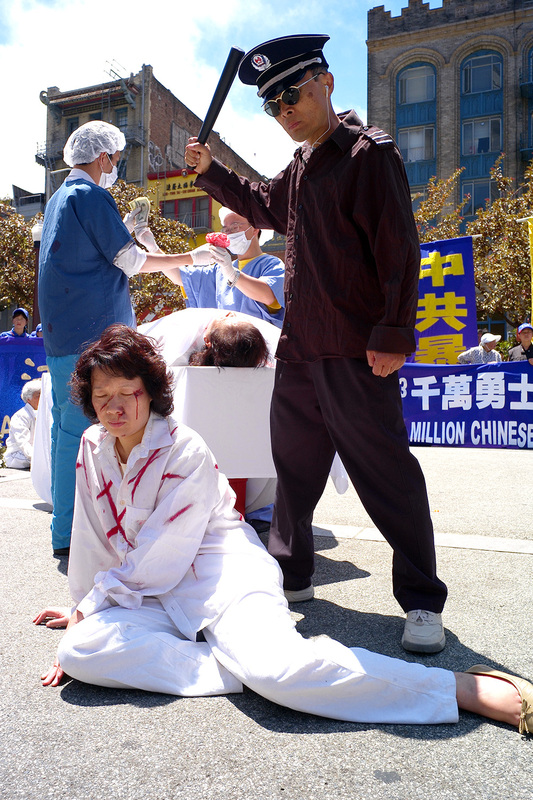 The CCP controls the army, media, foreign relations, and economy, and spends a large percentage of its gross national income to persecute Falun Gong. On the other hand, Falun Gong practitioners do not have any weapons but use peaceful means to protest. She said that in the near future, the persecution will end. At that time, each person will face the trial of his own conscience, and what he has done during this period. At the rally, several practitioners who were persecuted by the CCP talked about their experiences. 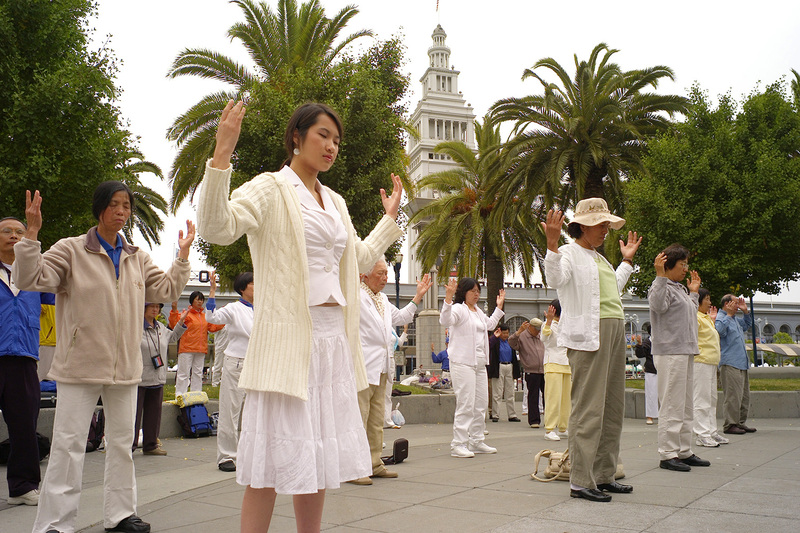 Ms. Cheng, who has practiced Falun Gong since 1996, said that she had more than ten illnesses before cultivation. She had a hard life. After practicing Falun Gong, her illnesses all disappeared, which saved lots of medical expenses for the country. She changed her hot temper and became sincere, kind and tolerant towards others. After the persecution began in 1999, she wrote to former CCP leader Jiang Zemin, the Ministry of Public Security, the People's Broadcasting Station, the People's Daily, provincial governor, mayor, and head of the Department of Public Security and talked about her personal experience of benefiting from practicing Falun Gong. For this, she was illegally arrested three times and detained for more than five months. Her home was ransacked, and she was extorted for more than six thousand yuan. In the detention center and brainwashing session, she was tortured mentally and physically, such as forced standing for extended hours, kneeling down, sleep deprivation, doused with cold water on a snowy day, drinking unsanitary water, sleeping on cement floor and other abuse. At midnight, she was forced to run. When she refused, the thugs pulled her from the third floor to the first floor, and then pulled her back to the third floor. She was thrown on the floor. Her lower back was injured and her whole body twitched for one month without any care. She lay in bed for three months and could not take care of herself. Her family members were not allowed to visit her. Under the care of fellow practitioners, her life was saved. She personally saw that many fellow practitioners were tortured. The practitioners called on people around the world to help stop the persecution and rescue those practitioners being persecuted. At the rally, practitioner Steve Ispas introduced the "Report into Allegations of Organ Harvesting of Falun Gong Practitioners in China" by David Matas, international human rights lawyer, and David Kilgour, former Secretary of State (Asia-Pacific) for Canada. He pointed out that during the investigation, some Chinese doctors said over the phone that they harvested organs from Falun Gong practitioners. They expressed no regret over this. The reason is that under the CCP's policies, criminals that kill practitioners are not punished. Mr. Ispas said, "Don't let the crime of organ harvesting continue. It is unacceptable in the 21st century." Engineer Zhang Xinyu pointed out that many Chinese people do not dare to say "No" to the CCP. The reason is that they are fearful due to the CCP's long term suppression and brainwashing. Falun Gong practitioners say "No" to the CCP's persecution, which is safeguarding human beings' sense of justice and conscience. Mr. Ma Youzhi of the Northern California Quitting the CCP Service Center said that during the eight years of the CCP's persecution, Falun Gong practitioners have recognized that the CCP's evil nature is the main reason for the persecution. 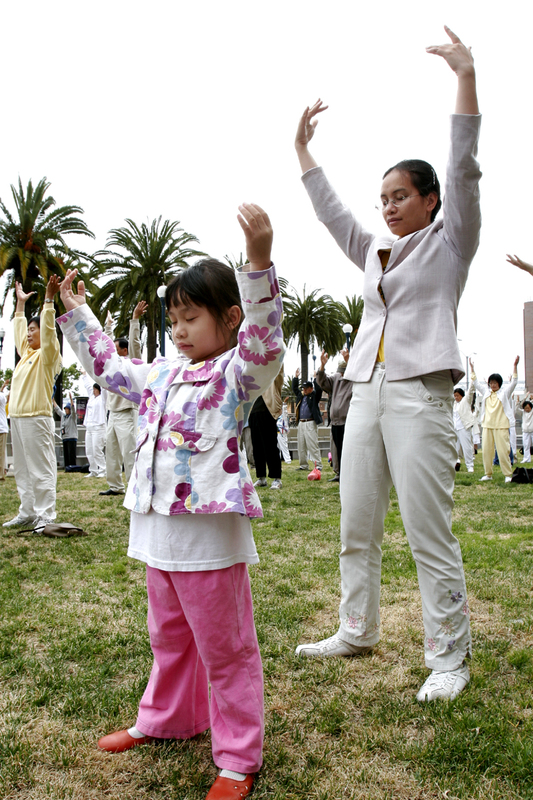 The CCP initially claimed that it would eliminate Falun Gong within three months. After eight years, it has not reached its goal. On the contrary, more people have come to know about the CCP's evil nature through the persecution. 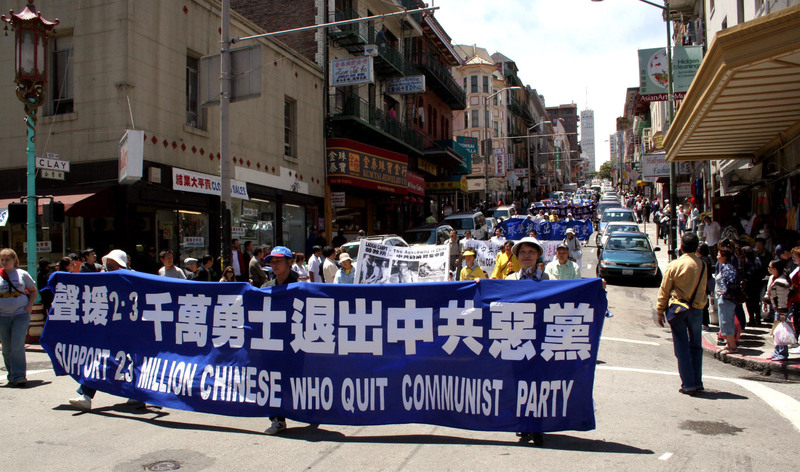 More than twenty-three million people have quit the CCP and its affiliated organizations. We see that the CCP has entered a dead end because of its persecution of Falun Gong. Heaven's destruction of the CCP is coming. The Mayor of the city of Albany sent a letter to the event. He condemned the persecution and called on the Chinese government to stop the persecution and give Chinese people human rights, freedom of belief, and freedom of assembly. Local resident Mr. Yu said, "I know that the CCP's persecution of Falun Gong is crazy. Its cruelty is more harsh than its persecutions in history. Falun Gong practitioners conduct peaceful activities around the world, expose the CCP's crimes, sue those culprits of the persecution in courts, and request the right to practice. They do these things not only for themselves, but for all Chinese people to get basic rights. I admire them." Spectator Scott Edwin Douglas said that it reminded him of the persecution of other religions in history. He thought that the CCP's actions are stupid. Although Falun Gong has had difficulties initially, the persecution will make Falun Gong stronger. A senior passer-by wished Falun Gong practitioners good luck. Another gentleman said that having no CCP is a good beginning. A former Russian Army officer, Mr. Arkady, emigrated to the U.S. as a refugee seventeen years ago. After the rally, he said that Russia was controlled by the communist party. He had deep experience and knew many people who were killed by the Russian communist party. Mr. Gao of the English Epoch Times pointed out that China's development is due to the people's hard work. The CCP has brought countless disasters to the people since it took power. Eighty million Chinese people have died due to the CCP's persecution. Currently, more than twenty-three million Chinese people have quit the CCP and its affiliated organizations. He hoped more people would recognize the evil nature of the CCP and quit it.